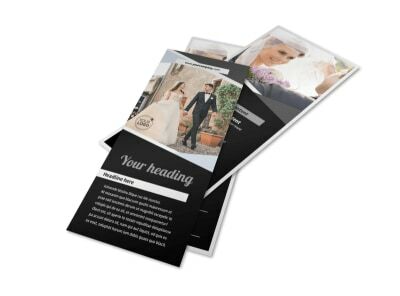 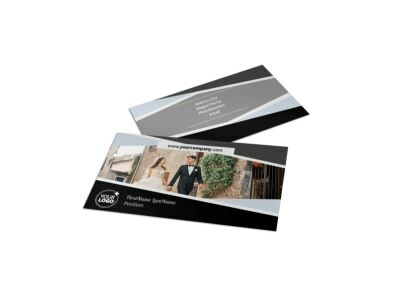 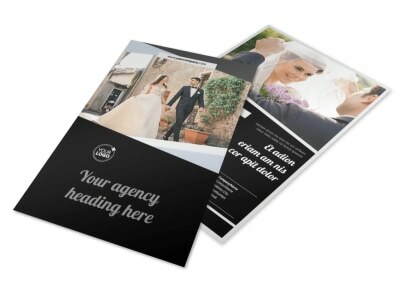 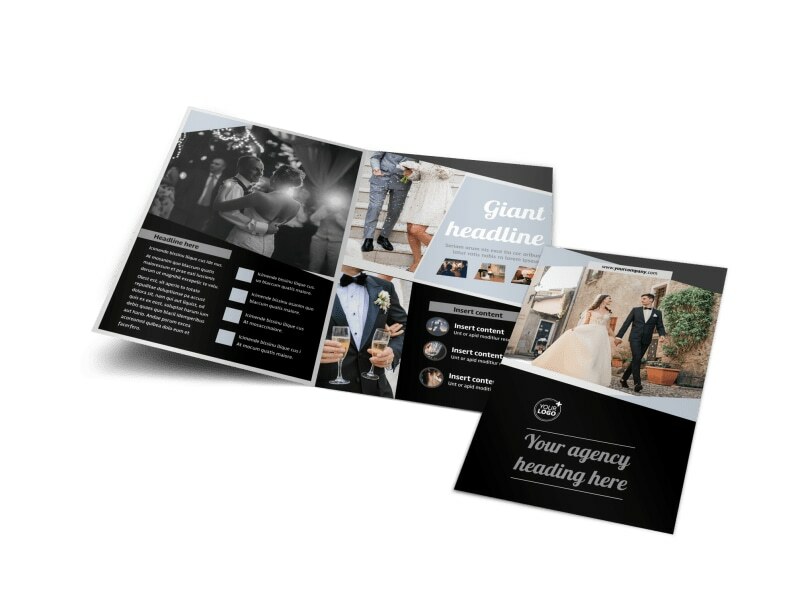 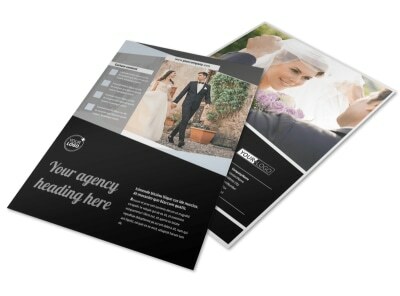 Customize our Wedding Video Service Brochure Template and more! 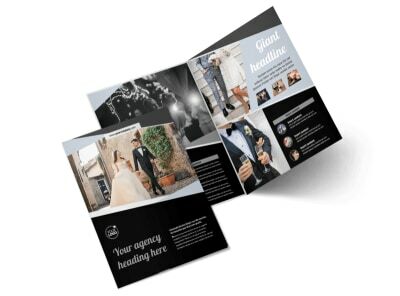 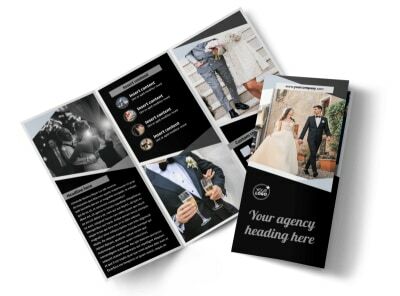 Let brides- and grooms-to-be know about your expertise in the wedding video industry with wedding video service brochures detailing examples of your work and years of experience. 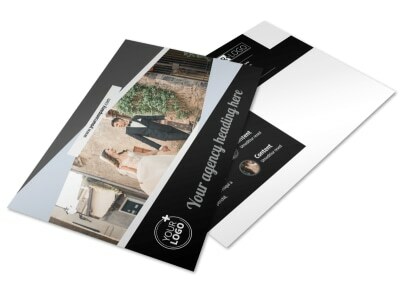 Use our online editor to customize a template using relevant images showcasing your work, compelling text, and more. 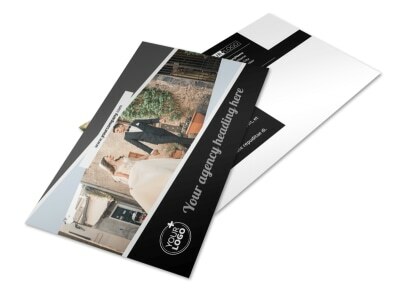 Start designing your bifold or trifold template today.